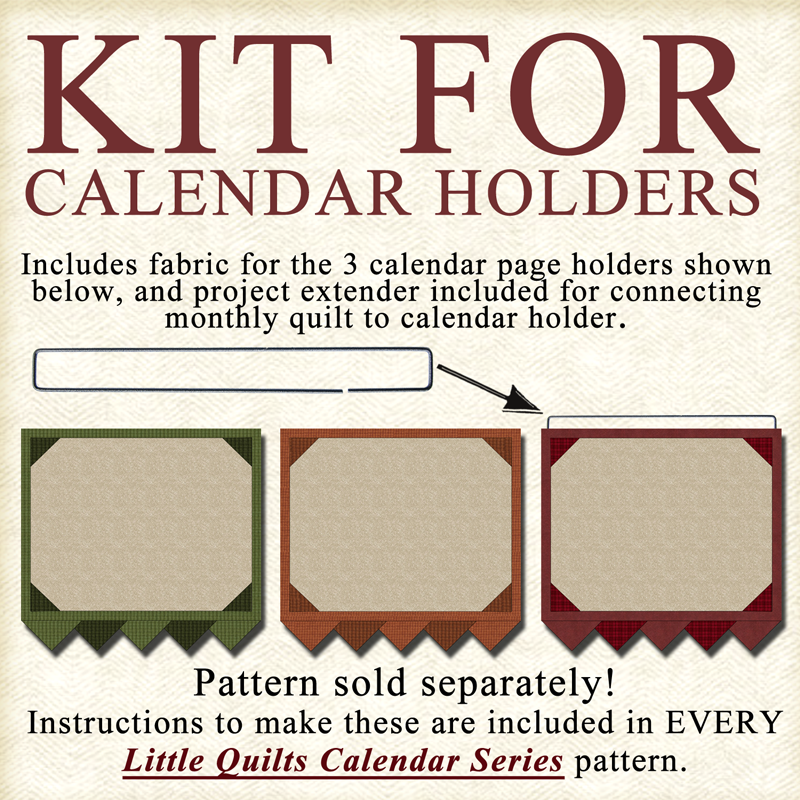 INSTRUCTIONS FOR MAKING THE CALENDAR HOLDERS CAN BE FOUND IN ANY OF THE MONTHLY CALENDAR SERIES PATTERNS. * All fabrics to complete ALL THREE color versions: red, orange, and green. Interchange these three holders to coordinate with the monthly quilts. 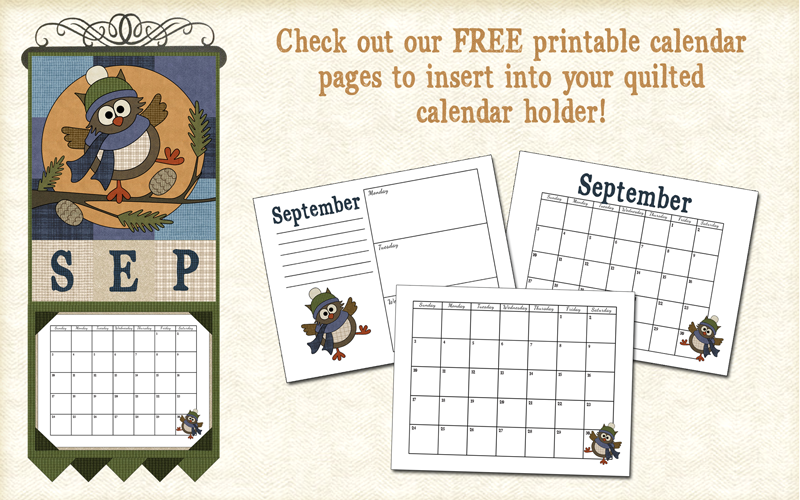 Now, get our FREE Monthly Calendar Pages to display in your holders!